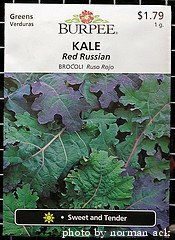 When planting kale, you can so the seeds directly into the garden in most cases. This method takes less time and you don't have to worry about hardening off seedlings, disturbing the roots, etc.. If you live in a cold climate and want a spring kale crop, you can start the seeds indoors and then transplant the seedlings into the garden when the soil becomes workable. Soil temperatures need to be at least 45 degrees F for the seeds to germinate. So, if it's colder than this when you want to plant, start the seeds indoors. Otherwise, sow the seeds into the garden. To sow the seeds directly into the garden, start by selecting a spot that gets at least 5-6 hours of direct sunlight. Go about tilling the area to a depth of at least 6 inches. Kale plants don't have deep roots, but they do need soil to drain pretty well. If your soil is a bit acidic, add some crushed limestone or egg shells to bring up the pH level. After tilling the soil, get an idea of where you want the rows. When planting kale, you'll sow a seed every 6 inches or so and space the rows 2 feet apart. When you know where your rows will be, spread out a thin layer of compost or well-rotted manure if you've got it. This will help with moisture management and will also give the plants plenty of nutrients after they germinate. After applying the compost, wait at least a day and then use a hoe to create rows. The seed will be planted just 1/2 inch deep so don't disturb the soil too much. 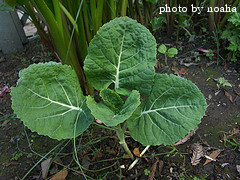 Sow the kale seeds every 6 inches or so and cover with a 1/2 inch layer of fine soil. After planting kale seeds, water them in with a quick spray from the hose. When the seedlings emerge and are a few inches tall, thin to one plant every foot or so to give the plants plenty of room. If you're starting the seeds indoors, start about 6 weeks before you want to transplant them into your garden. Fill a flat with top soil. A flat is just a tray of compartments to start seeds in. Add a seed to each compartment and cover with 1/2 inch of soil. Place the flats in a sunny spot and keep the soil moist by misting them with water every other day. When the seedlings are 4 inches tall and have at least 4 true leaves, they are ready for transplant. The last week or so before transplanting kale, you need to harden off the seedlings. Basically, you just need to get them used to the outside temperatures, which are probably cooler than what they've been used to inside. Place the plants outside for a couple of hours a day to start off. Increase the time they spend outside by a couple of hours each day until you are ready to transplant them. To transplant the kale seedlings, dig a hole every 12 inches or so in the row and space rows 2 feet apart. The holes need to be just deep enough to bury the seedling up the base of the bottom leaves. Carefully remove them from the container, keeping as much of the root ball intact as possible, and place the seedlings in the hole. Backfill the hole with dirt until the bottom of the lowest leaves are even with the surface of the soil. Tamp the soil down gently around the plants and then water them in immediately. It should take only a couple of days for the seedlings to get established. 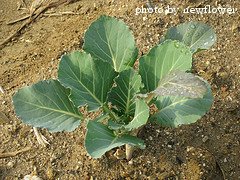 Now that you're done planting kale, it's time to think about fertilizing and watering your crop.